This report presents an account of one teacher's mathematics teaching and a perspective that underlies his teaching. Nevil was a fifth grade teacher participating incurrent mathematics education reforms in the United States. Through the account, we make distinctions about teachers' thinking and practice that can inform teacher education efforts. We constructed an account by analyzing four sets of classroom observations and interviews. We observed that Nevil decomposed his understandings of the mathematics into smaller components and connections among those components. He created situations that he believed made those components and connections transparent and attempted to elicit those connections from the students. This account illustrates a practice that is different both from traditional practice and the type of practice that we would envision as a goal for teacher development. We contribute two important aspects of mathematics teacher development from traditional to reform-oriented teaching. 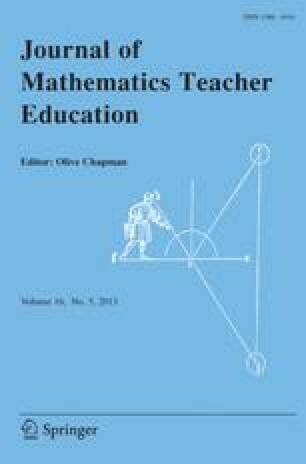 In particular, we describe teachers' perspectives – assimilatory structures that constrain and afford (a) the sense they make of professional development opportunities and (b) their potential learning in teacher education settings.